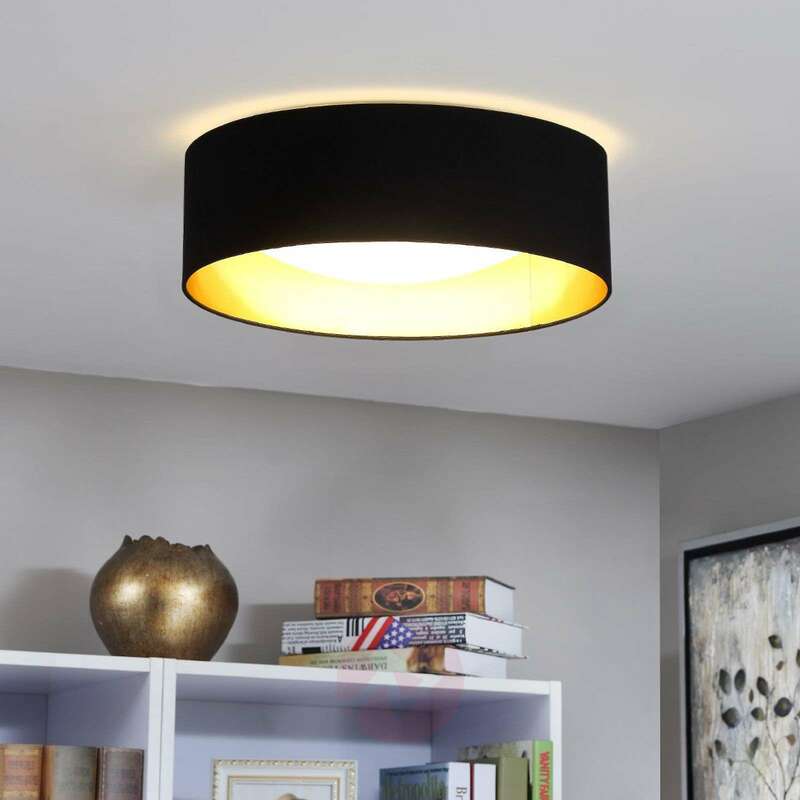 The built-in LEDs shine with a warm white luminous colour and are particularly energy-efficient. 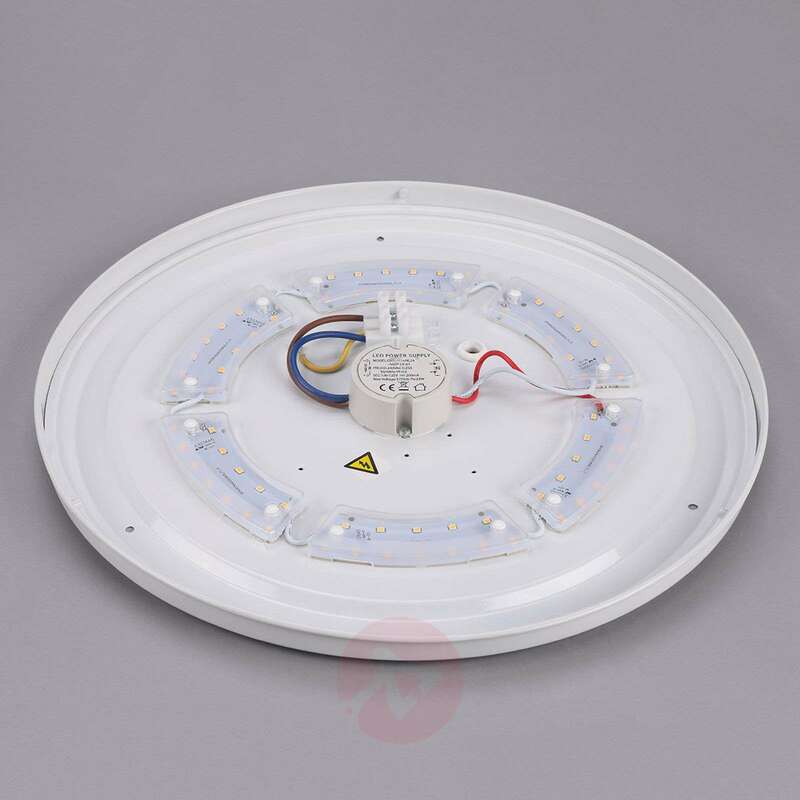 This means that they do produce a bright light which may contribute to a good illumination, but only consume a little power. 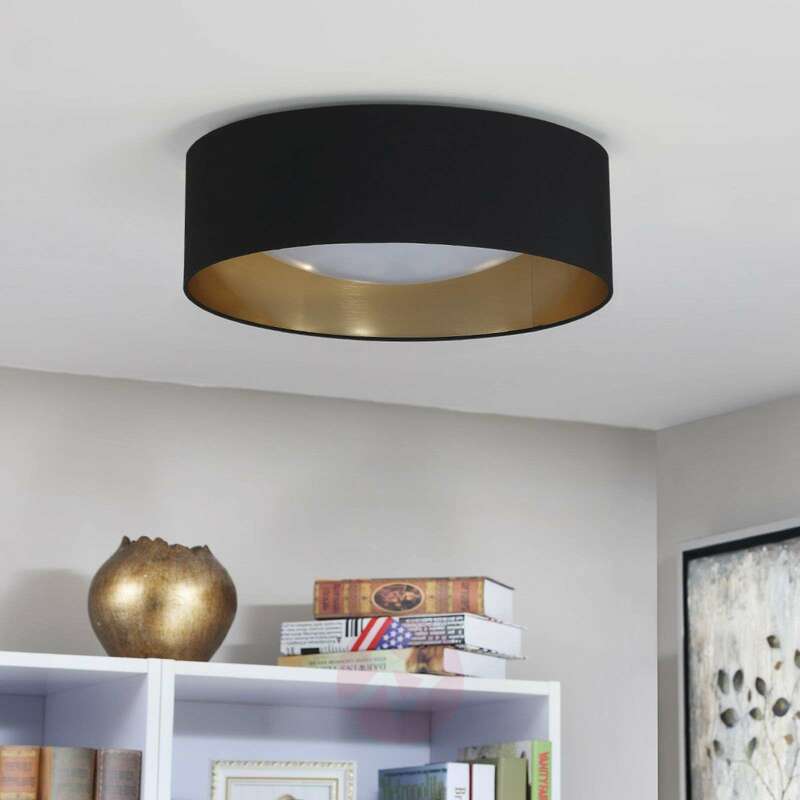 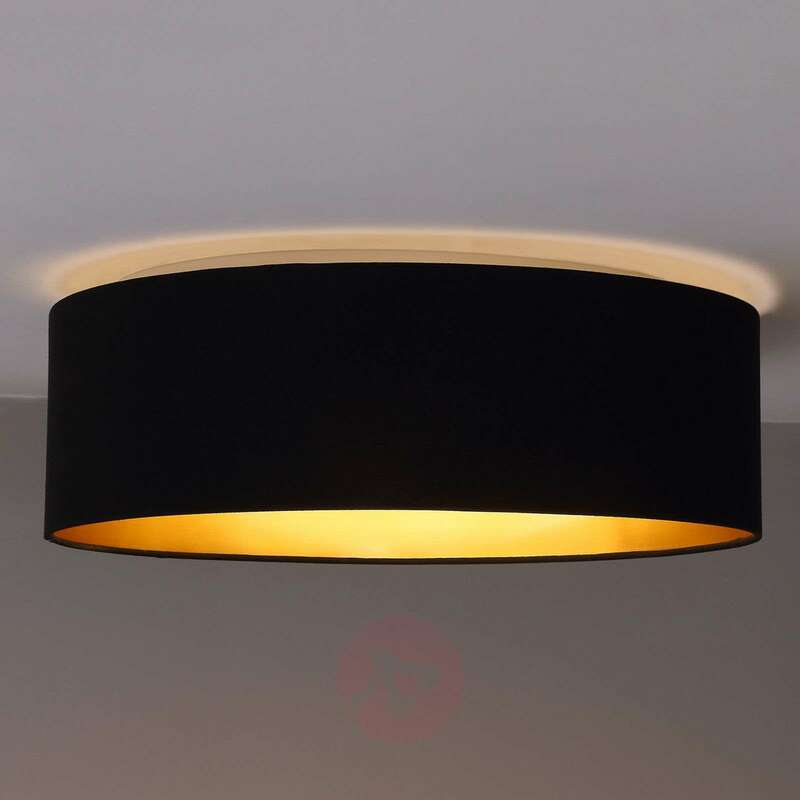 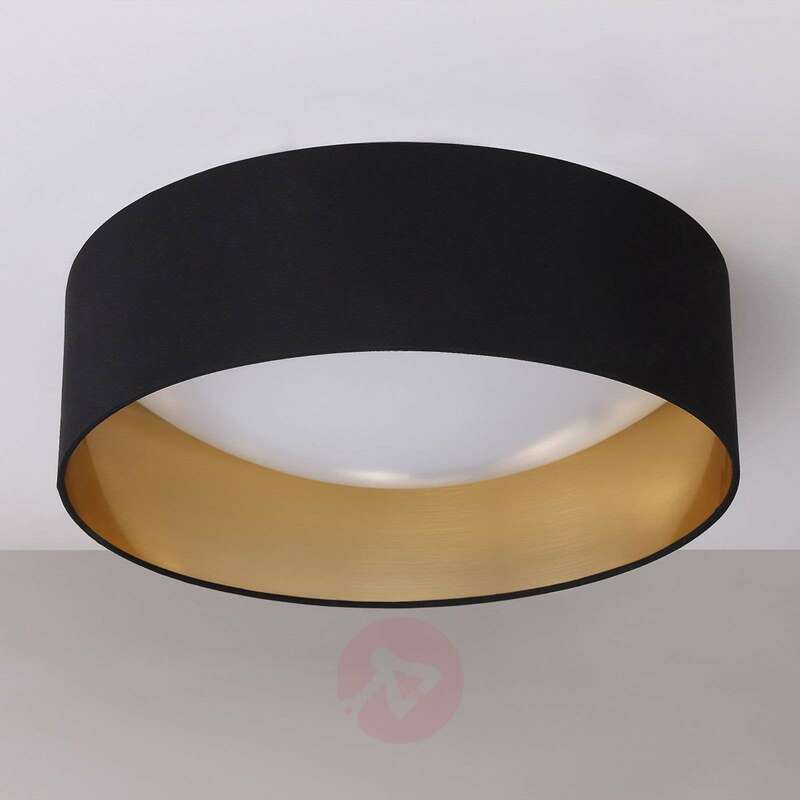 The fabric surface of the ceiling lamp is in a simple black, which, of course, scores points with its timeless character. 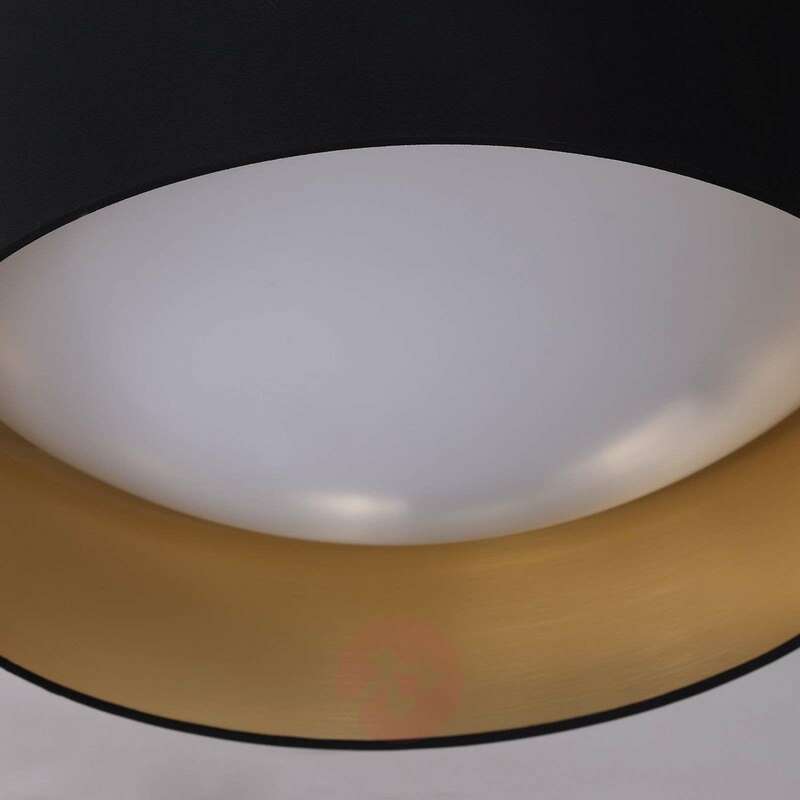 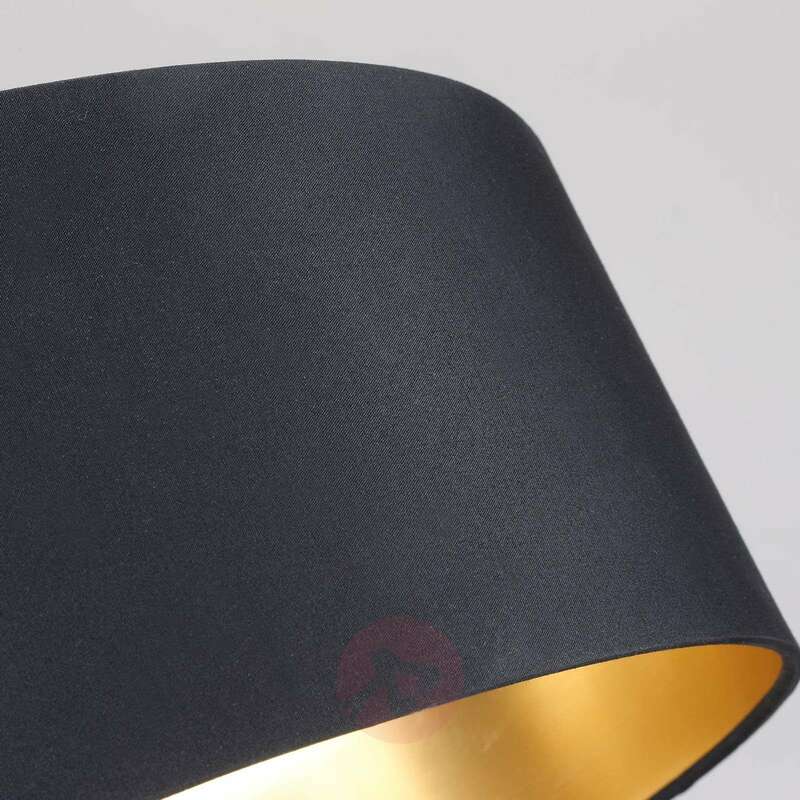 It is the inside of the cylindrical lampshade which quickly catches the eye, as it is in a golden colour which looks, upon closer inspection, as if a metal surface has been brushed. 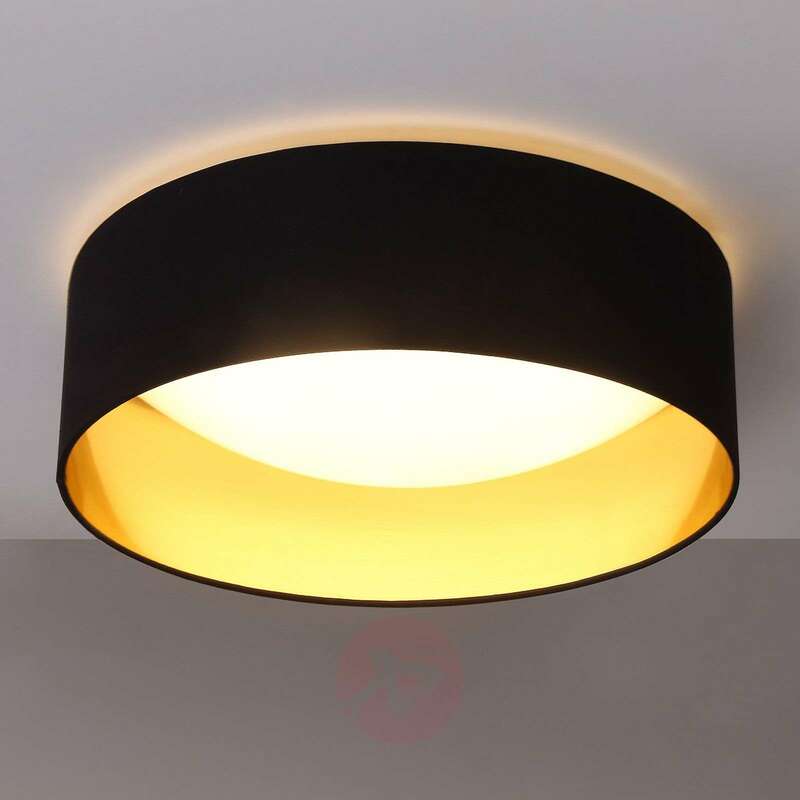 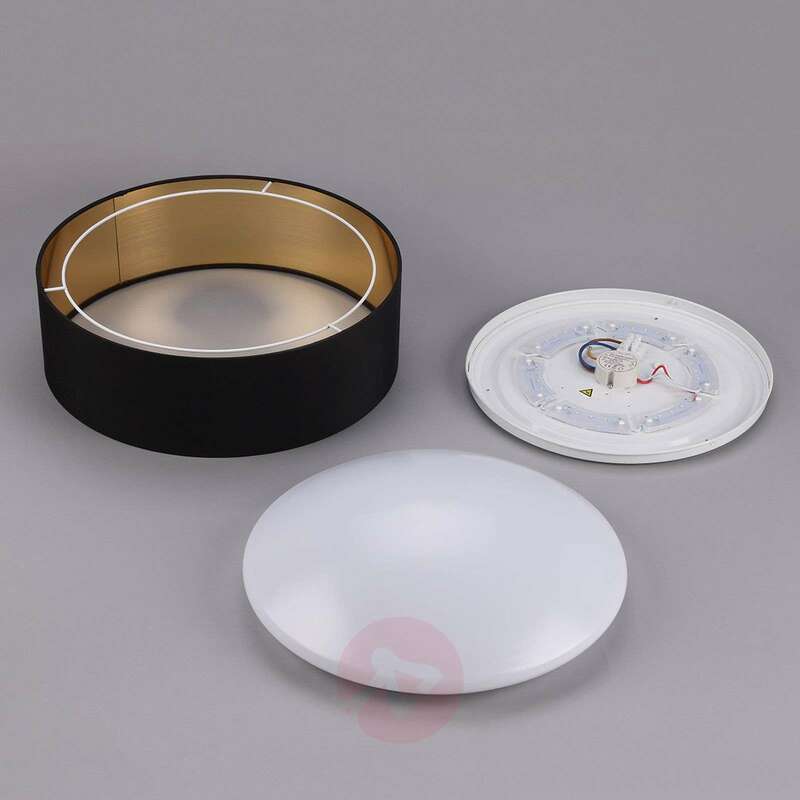 A very attractive light source with that certain something, which is not only shown off to advantage in living rooms and bedrooms, but can also provide good illumination in the hall.